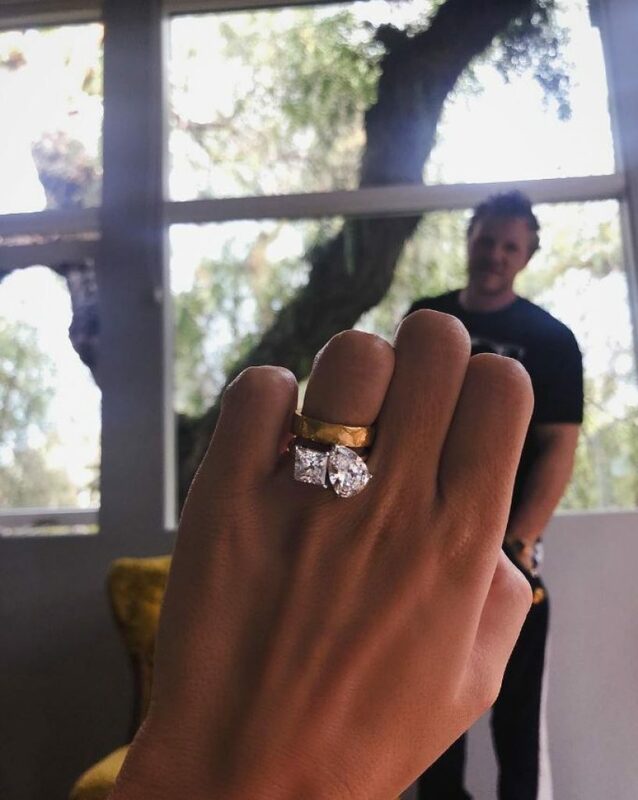 Four months after the pair married in secret, model, Emily Ratajkowski, has been presented with an engagement ring from her husband Sebastian Bear-McClard. 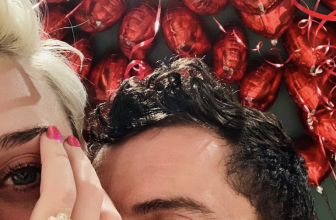 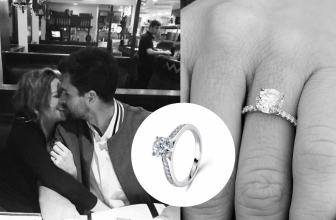 Incredibly traditional, Emily would not even accept his proposal until she had a ring fashioned from a paperclip given to her, it seems that she has now received a major upgrade! 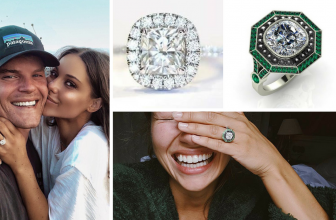 Sharing a selfie on Instagram, the model exuded nonchalance as she shared her stunning new diamond engagement ring with the world. 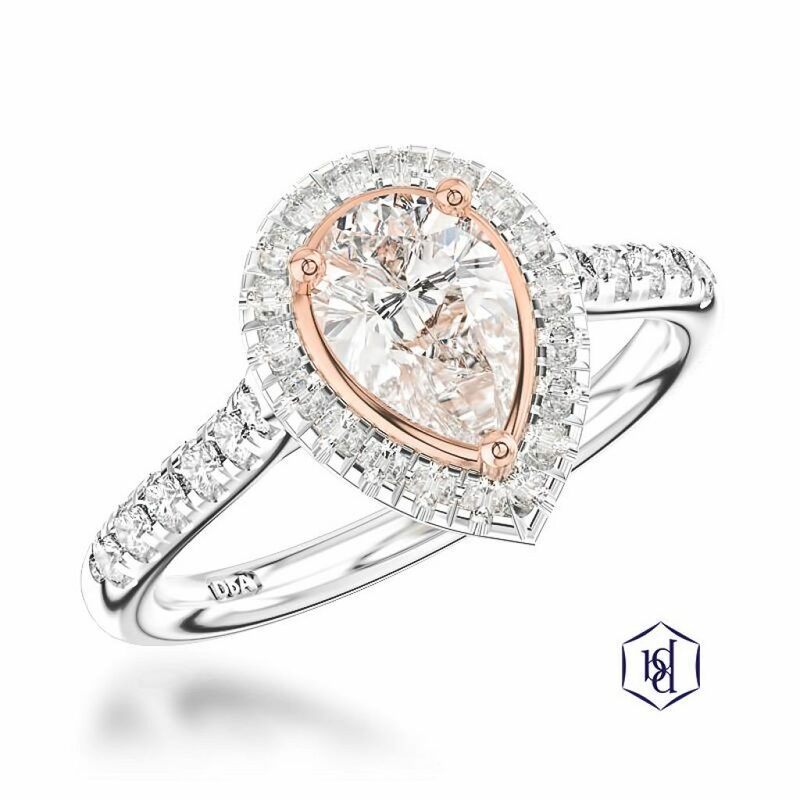 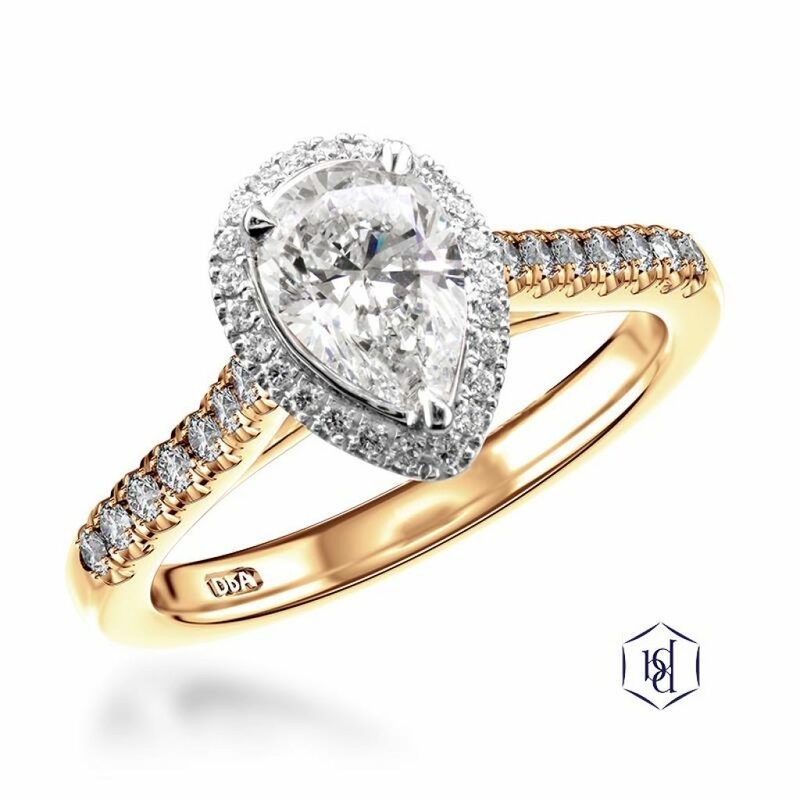 Nestled against a traditional yellow gold wedding band, her engagement ring far more unusual and definitely has a contemporary feel to it. 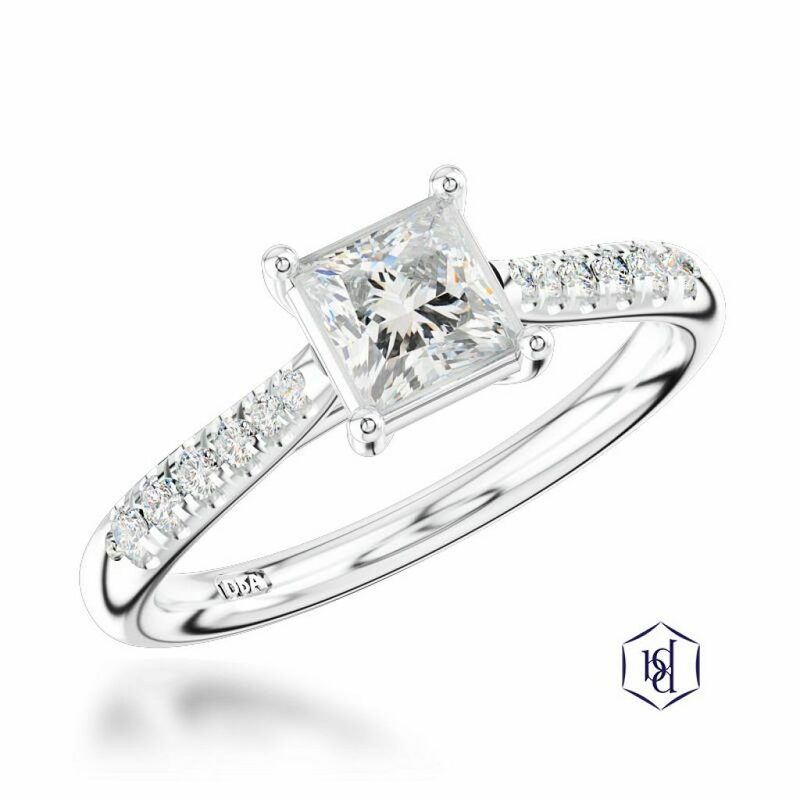 Featuring a large princess-cut and pear-cut diamond, the ring is estimated to be worth somewhere between $50,000 & $90.000. 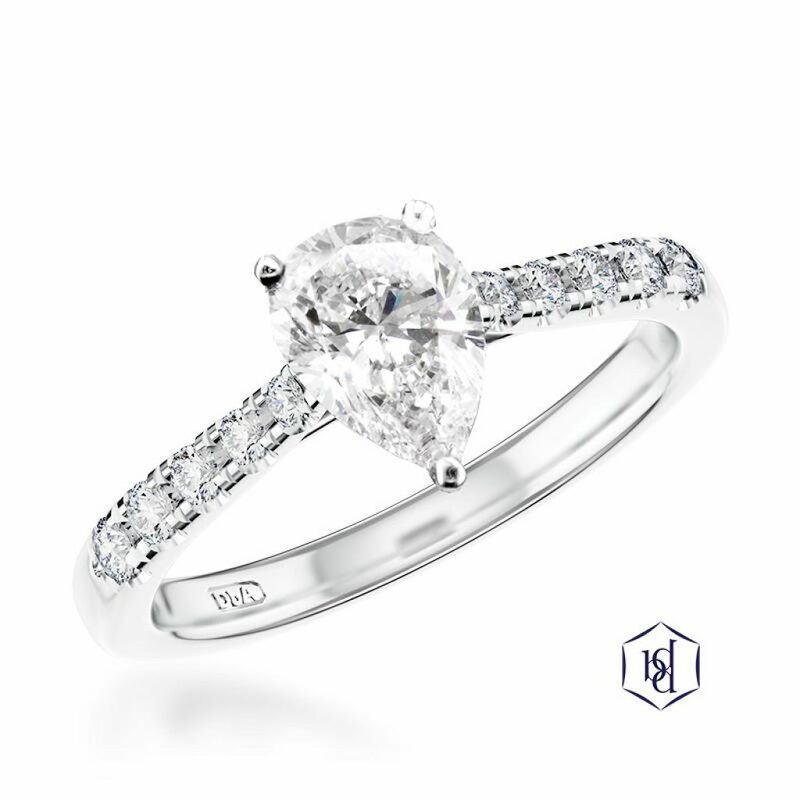 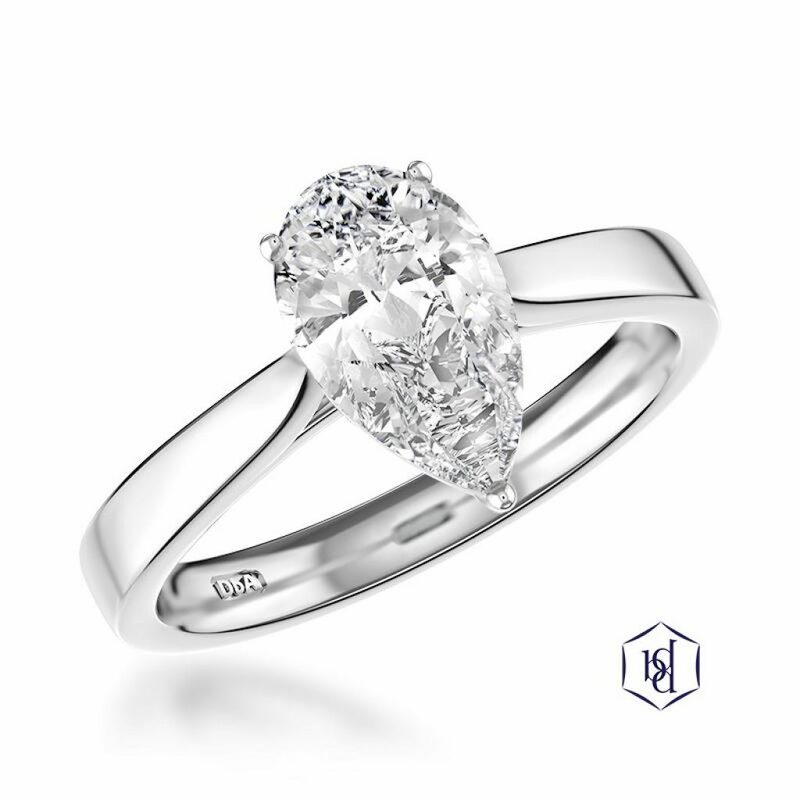 The princess-cut diamond looks to be 2 carats, whilst the pear-cut diamond is larger and estimated at 3 carats. 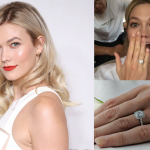 The overall look of the ring is very asymmetric, something which traditional engagement rings tend to avoid, but in this case it makes it very unique and special to Emily and also makes it stand out from the sea of extravagant engagement rings in the celebrity world. 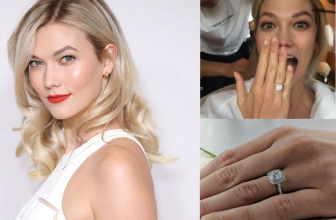 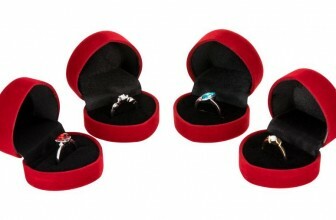 What are your thoughts on Emily’s engagement ring? 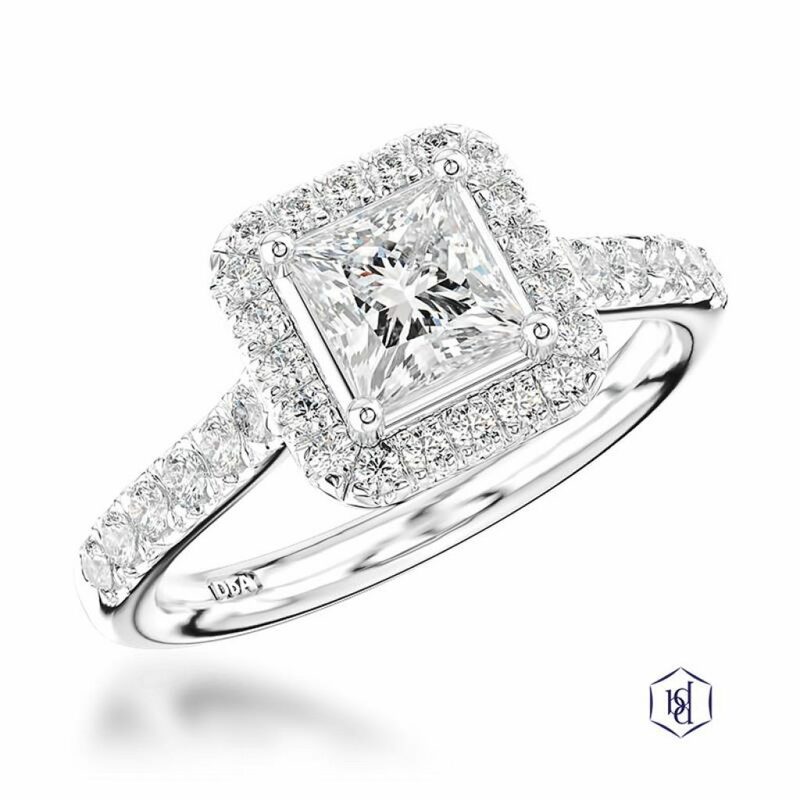 We’ve highlighted a selection of our pear and princess cut diamond rings below – whilst we don’t have anything quite like this in stock, if you’ve been inspired by Emily’s design, we can always create you a bespoke ring with the help of our design specialists.